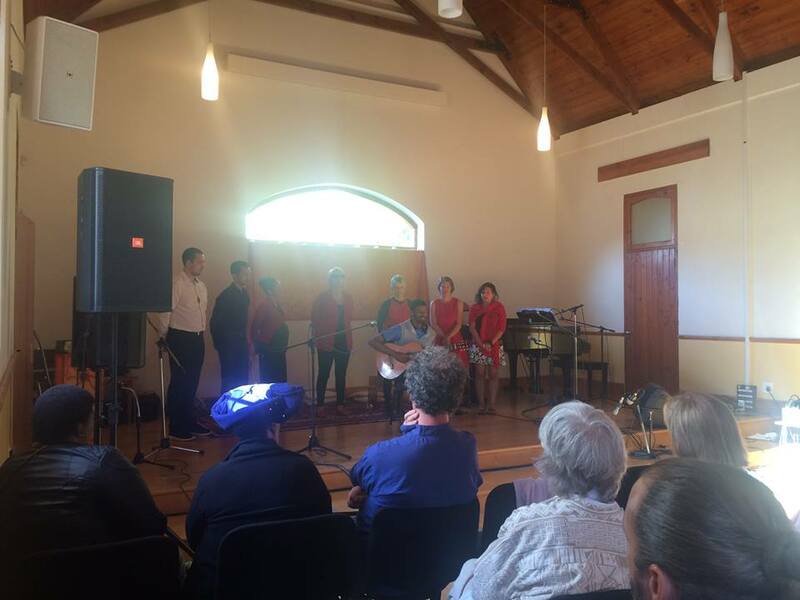 On the 6th November 2016 at Erin Hall the Cape Town Interfaith Initiative presented its annual Music Of the Soul Concert. 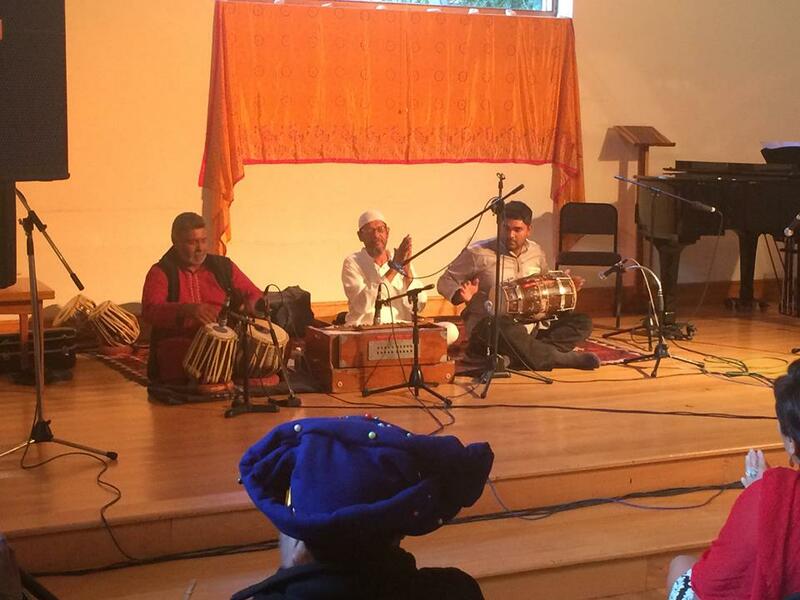 A wonderful line-up of professional and amateur musicians offered songs from their religions with much devotion. The first group were members from Ananda Kutir Ashrama, a centre that teachers Integral Yoga. 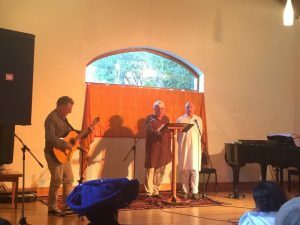 This group sang an universal song, which included ‘The Universal Prayer’ of Swami Sivananda, improvised singing of short one-line prayers from various faiths, and a sanskrit hymn invoking the blessings of the prophets, saints, sages and gurus of all religions. This was followed by beautiful and joyful singing by the Soul Singers of Baha led by Clare Mortimore representing the Baha’i religion. The group consisted of a choir of male and female voices singing harmonious praise songs. Dominique Sylvester also rendered a beautiful song on vocals and guitar. The third act was offered by the international musician Madosini accompanied by Pedro the Musicman. 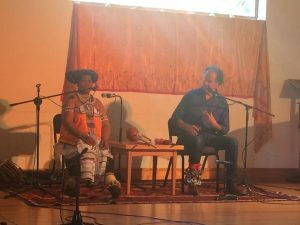 Madosini offered African Traditional songs and played on traditional instruments. She sang soulfully about various aspects of life interspersed with some humour as well. 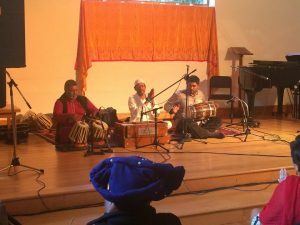 Then Thazkiyah offered Qawwali songs in the Islamic/Sufi tradition. 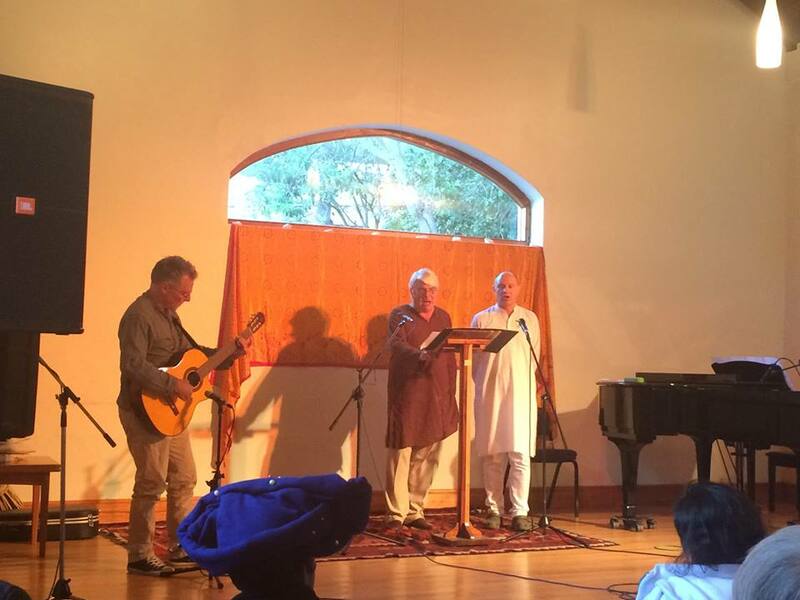 Their music was vibrant and their lead singer Haroon Hussein gave wonderful translations and teachings of the songs. Reverend Peter Fox, accompanied by Colin Leo on supporting vocals, Nic Paton on guitar and Garth Hammer on piano, sang soul-stirring Christian hymns, one of which was composed by Nic Paton. The love of God and mankind was heard through their voices. 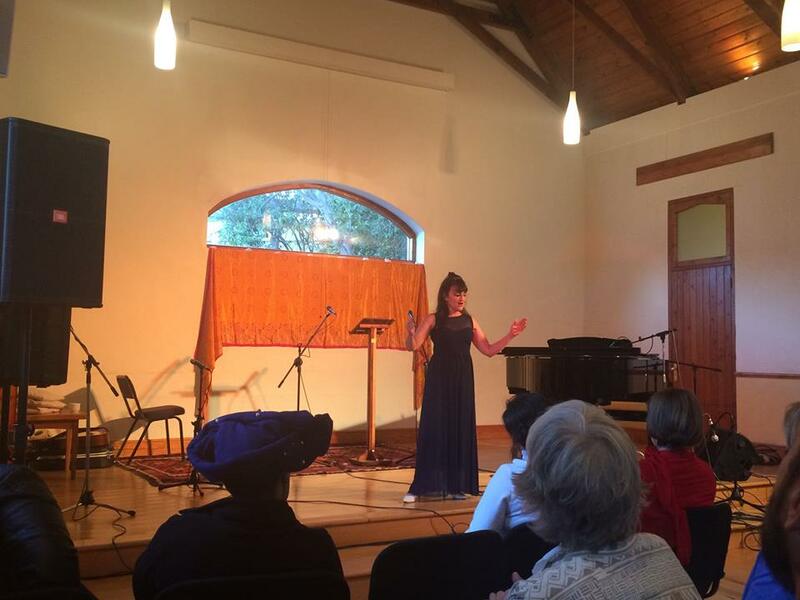 The final offering was presented by the opera singer Belinda Silbert whose songs representing Judaism. Her beautiful operatic voice resounded through the hall as she offered classical as well as modern songs, one of which was a song that she had received in a vision. The concert was enjoyed by all participants as well as the audience. The variety was wonderful and the atmosphere was charged with devotion. It was evident that the devotion is the same in all. There is only one religion, the religion of the soul.